National Gift Card Corp. has been the industry's choice for gift card solutions for more than a decade as a leading gift card solution partner for thousands of corporate and non-profit clients. 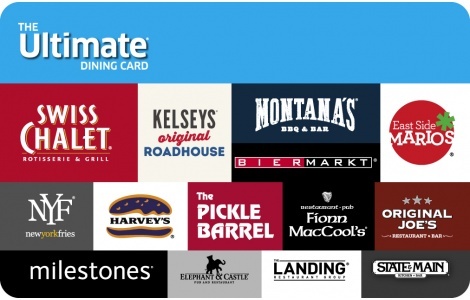 We maintain an extensive inventory of gift cards from over 300 international brands in the retail, restaurant and prepaid card arenas to fulfill in the USA, Canada, and Europe. National Gift Card Corp. Canadian division, ngcCanada is your one-stop shop for Canadian gift cards and eGift cards. Our catalog offers more than 160 Canadian retail, restaurant and prepaid gift cards and eGift cards. All of our Canadian egift cards and gift cards are ready for you to power your incentive, rewards, loyalty, and recognition programs. National Gift Card Corp. is a family-owned company with a 52,000 square foot gift card fulfillment facility supporting global gift card programs for organizations of every size - from multinational corporations to small businesses. We have a wide variety of gift card and eGift card fulfillment and delivery solutions. ngcCanada offers bulk and direct-to-recipient fulfillment for our Canadian gift cards and eGift cards and can partner with you to create a custom solution. If you’ve been looking for a dependable fulfillment house for bulk gift cards in Canada, your search is over! You can trust ngcCanada for all your Canadian egift card and gift card fulfillment needs. All of our solutions are designed to fit any client of any size and can be tailored to fit any program. We will partner with you to create a seamless gift card offering that is turn-key, easy to administer and, most importantly, will help you succeed. With our helpful staff and exceptionally fast turnaround, ngcCanada is the premier provider of gift card solutions in Canada. Want to offer your brand’s gift cards or eGift cards in our programs?